Lindamood-Bell presented at the LD Institute Montreal 44th Learning Congress at the end of March in Montreal, Canada. The talk, “The Imagery-Language Connection: Teaching All Children to Read and Comprehend,” was presented to those attending this symposium designed to train, support and educate those directly or indirectly involved in learning disabilities. 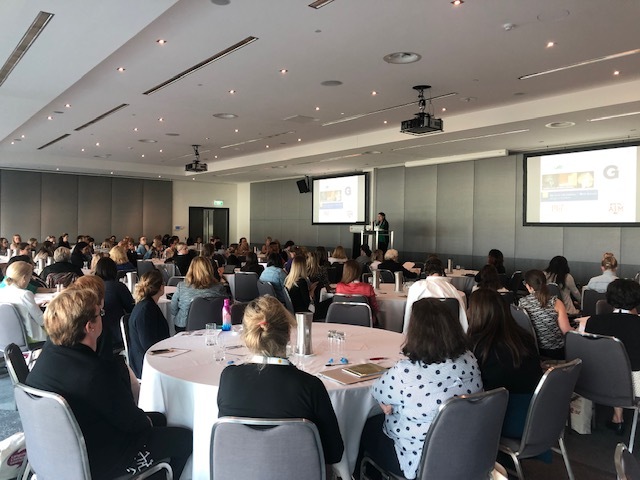 Lindamood-Bell presented at the Language, Literacy, & Learning Conference on April 4-6, 2019, in Perth, Australia. Lindamood-Bell Director of PR and International Development Angelica Benson had the honor of presenting “The Imagery-Language Connection: Teaching All Children to Read and Comprehend” to a full house. Lindamood-Bell presented at the NEALS Annual Conference and 20th Anniversary which took place April 3-5, 2019, in Westford, Massachusetts. Melissa Garner, Co-Director of Lindamood-Bell for Schools, gave a presentation on “Learning Disability or Literacy Deficit” to attendees of this networking group for Learning Specialists for independent schools.